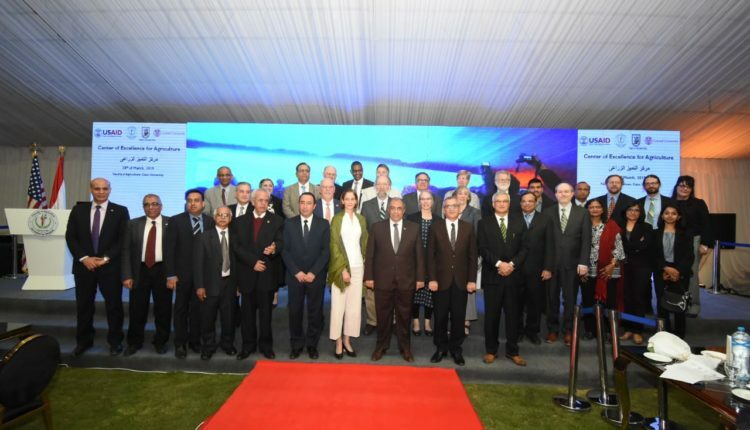 The United States Agency for International Development (USAID) has launched a five-year, $30 million collaborative project between Cornell and Cairo University to create a Center of Excellence for Agriculture (COEA) in Egypt. 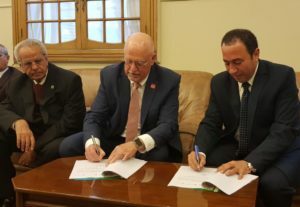 Ronnie Coffman, center, and Dr. Amat Mustafa, right, dean of the faculty of agriculture from Cairo University, sign the agreement establishing the USAID-funded Center of Excellence for Agriculture (COEA) in Cairo. At left is Dr. Saad Nassar, chair of the COEA advisory board. to train and equip the next generation of Egyptian students to improve agricultural production in Egypt for the future. 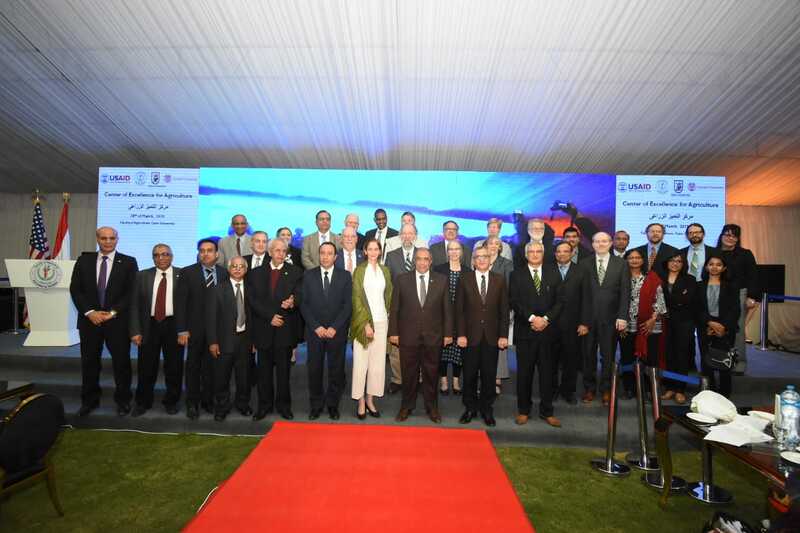 USAID launched two other centers of excellence this week – for energy and for water – that also partner institutions of higher learning in the U.S. with their Egyptian counterparts. The COEA is based on an initiative called the Sustainable Development Strategy: Egypt Vision 2030. It aims to position Egypt among the top 30 countries in world in terms of economic development and quality of life by 2030. Cornell leads the consortium of U.S. land-grant universities in the COEA initiative; other partners include Purdue University, the University of California-Davis and Michigan State University. Other Egyptian partners include Benha University, Suez Canal University, Assuit University and Ain Shams University. Sathguru Management Consultants is also a primary partner. IP-CALS is responsible for the governance and management of the project, including robust data analysis and reporting. Information specialists from Cornell’s Mann Library will offer support and training to Cairo University librarians, translating best research practices to support Egyptian faculty and students. Egyptian faculty will visit Mann Library for training, and Cornell faculty will engage with their counterparts in Egypt. “There are many stakeholders in this complex project. In order to ensure direct, meaningful impact in Egypt, we need to facilitate interactions among all partners,” said K.V. Raman, adjunct professor of plant breeding and genetics at Cornell. Raman serves as project director in partnership with Naglaa Abdallah, faculty member at Cairo University who leads the effort in Egypt. A primary component of the COEA will be instructional innovation and curriculum development. Agricultural researchers and faculty at Cairo University and Purdue University will work with the Egyptian Ministry of Higher Education and Scientific Research to develop and implement industry-validated curricula in Egyptian partner universities that is informed by community needs, and that provides opportunities for youth, women and disadvantaged students. A new interdisciplinary Master of Science program will be highly workforce-oriented, while retaining key aspects of research and scholarship. Other components include high-quality applied research, that pairs Cairo University and the University of California-Davis to aid in technology transfer and commercialization, and the exchanges, training and scholarships component, led by Cairo University and Michigan State. Sathguru Management Consultants will partner with Cairo University to create an Office of Technology Transfer and Commercialization to help university-produced technology into the marketplace.